Two new policy programmes, an ambitious plan of action for the next four years and a new and younger leaderships. 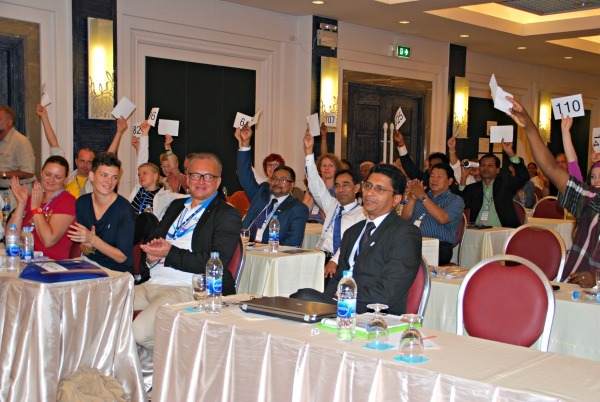 These are some of the outcomes of the 68th IOGT World Congress which was held in Cha Am, Thailand last week. The congress re-confirmed that IOGT International is one of the most vibrant and competent civil society organizations in the international alcohol and drugs field. The picture shows new IOGT president Kristina Sperkova and past president Sven-Olov Carlsson. 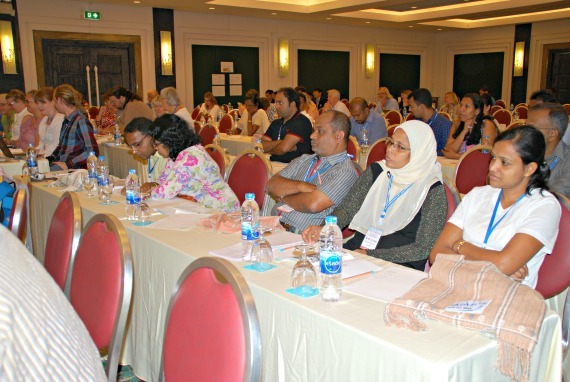 Around 150 participants from member branches in Asia, Africa, Europe and North America took part in the congress sessions, which to a large extent were focused on key thematic issues from international alcohol and drug discussions: Alcohol advertising, trade treaties and alcohol, the UNGASS 2016 process, substance use as a child rights issue, effective prevention strategies, alcohol as an obstacle to development, alcohol as a risk factor for gender-based violence and HIV/AIDS etc. A new and younger leadership was elected to be in charge of IOGT International for the coming four years. Kristina Sperkova (32) from Slovakia, now living in Sweden, was elected new president after having served eight years already as Board member. The new vice president comes from Sri Lanka: Pubudu Sumanasekera (48) who is the Director of the Alcohol and Drug Information Centre in Colombo. 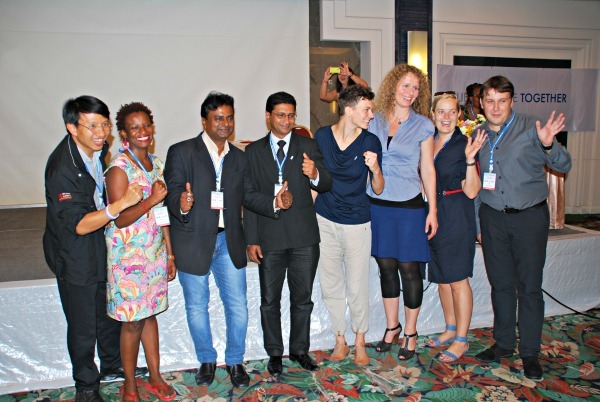 Other members of the new IOGT Board are: Adis Arnautovic, Bosnia; Christian Bölkow, Germany; Brenda Mkwesha, Zimbabwe/now Kenya; Srinivasa Vara Prasad, India; Kadri Vanem, Estonia; Theera Watcharapranee, Thailand and Hanne Cecilie Widnes, Norway. At the closing of the congress, the outgoing IOGT president, Sven-Olov Carlsson from Sweden, was warmly thanked for his contribution to the development of a stronger and larger IOGT International. Mr. Carlsson has served as IOGT President for the last 12 years. Prominent experts from the global scene were invited as keynote speakers to kick-start discussions: David Jernigan, USA; Fifa Rahman, Malaysia, Ann Dowsett Johnston, Canada; John Motutho, Kenya and Thaksaphon Thamarangsi, Thailand to mention a few. – I was in particular happy to witness the high technical quality of our plenary discussions, comments Esbjörn Hörnberg, the Executive Director of IOGT International. - The congress confirmed that we now are a global network of competent and very committed NGO activists, trained in the best international scientific evidence and with a deep understanding of their respective local realities. This is a combination which will be very valuable in the years to come. One of the cultural events in the Congress programme; an outdoor performance with traditional Thai dance Representatives from Sri Lankan NGOs FISD, Healthy Lanka and WODEPT. - More than ever before the world needs a strong civil society movement which can sound a strong voice for public health, welfare and social development and by that stand up against the efforts of the multinational alcohol corporations. These companies are determined to safeguard their future profits by increasing alcohol consumption in the global South, in particular in Africa and Asia. The costs, if Big Alcohol succeed with their ambitions, will be high and borne by the poor people of the world, says Esbjörn Hörnberg. The IOGT World Congress in Thailand adopted two new policy programmes, one on alcohol and the other on narcotic drugs. Both programmes recognize the detrimental effects which alcohol and drug use is documented to have on individual health, social welfare, on development on the local and national level, and in particular how children and women are victims of substance use. IOGT International is one of the few NGOs which is involved in all aspects of substance use problems, also including treatment and rehabilitation. Some of the national IOGT branches have large programs in alcohol treatment, and IOGT International is also one of the strong promoters of the Family Club Model which has been developed in Italy. Separate congress sessions were held to discuss how treatment and rehabilitation can become an even more important part of the IOGT movement. Fransisco Piani from Italy was invited to introduce the Family Club Model to the congress. In its closing session the congress adopted a resolution which called for an IOGT strategy to strengthen IOGT involvement in treatment and rehabilitation of addicts. A number of thematic meetings were organized in conjunction with IOGT Congress in Thailand; a youth camp, FORUT’s meeting with all its development partners, end a meeting for parliamentarians from South East Asia. Altogether 450 persons attended the activities. 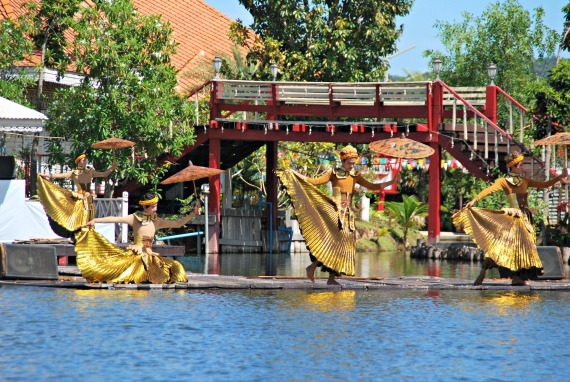 In additional to thematic and formal congress sessions, participants were offered a selection of cultural programs and excursions, and even cooking classes, to get to know the Thai culture better.